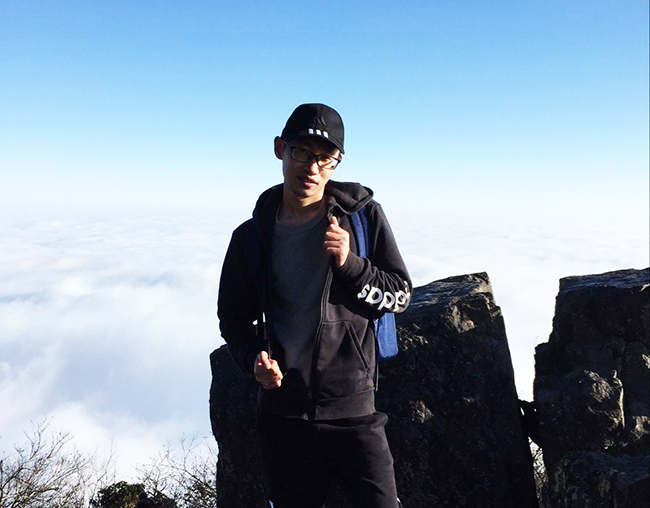 It is a sunny weekend and I decide to relax in Leshan again and visit Mount Emei. Although I have been to the Leshan Giant Buddha, inscribed on the list of the World Cultural Heritage by UNESCO in 1996. It is about 160 kilometers from Chengdu and takes round 2 hour’s driving. As for transportation, you can take fast train (one hour) or public bus if you do it on your own but private car is the best for our customer. When you reached the destination, you have two choices for visiting, climbing the mountain and it takes more time, especially long lining up for going down from the head to the food of Buddha by very narrow road (2-3 hours if there are so many people in peak season) in this case, it is a waste of time you can just take picture on the top of it or try to see it by taking boat on river (20 minutes at most for round cruise). After the tour, it is time for lunch and I would recommend you to taste the local food, Bobo chicken and sweet and Crispy Roast Duck. 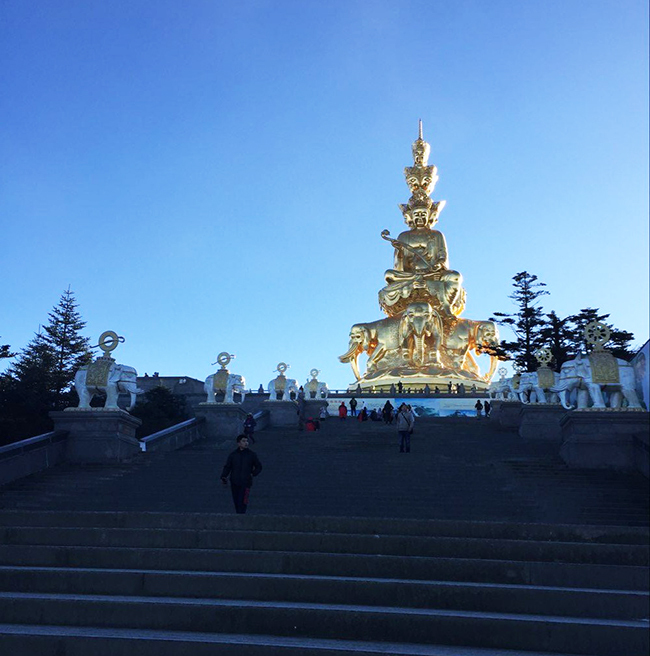 Then head to the second destination Mount Emei. Fast train and bus is also available from Leshan or Chengdu and after half an hour’s distance from Leshan, we arrived at the tourist center, which is very close (less than 1000 meters) to Baoguo Temple. As for accommodation, you can choose stay at the downtown (4 or 5 star hotel is available) or go up and spend the night on the summit but I firmly advise the latter because you will enjoy the amazing landscape, the landscape on the way up is also gorgeous. Firstly take sightseeing bus at 3:00pm from the tourist center to the gate 3:50pm and buy entrance ticket before Leidongpin 4:30pm. The walking starts. 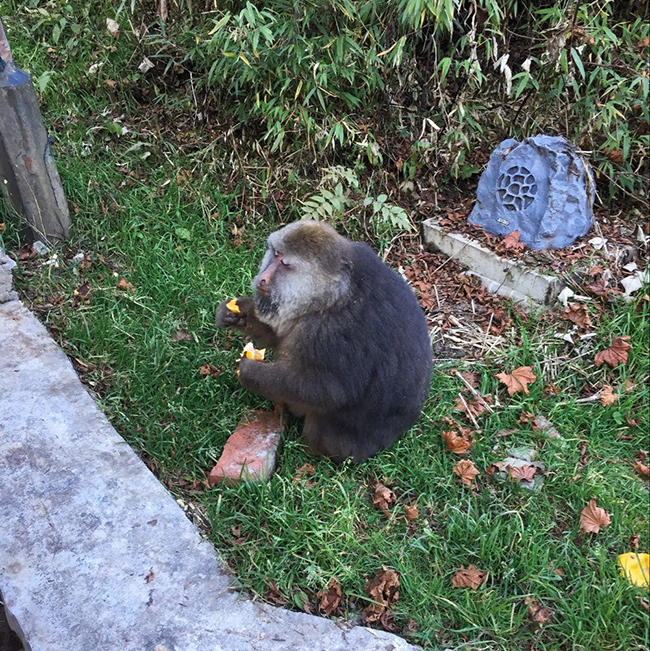 Monkeys on Mount Emei – If you meet them, be cautious. You can see cute and cleaver Monkey if you are lucky enough, about 30 minutes for ups , you are in Jieyin Hall where you can take cable car to the summit (2 minutes) or continue hiking (one hour). 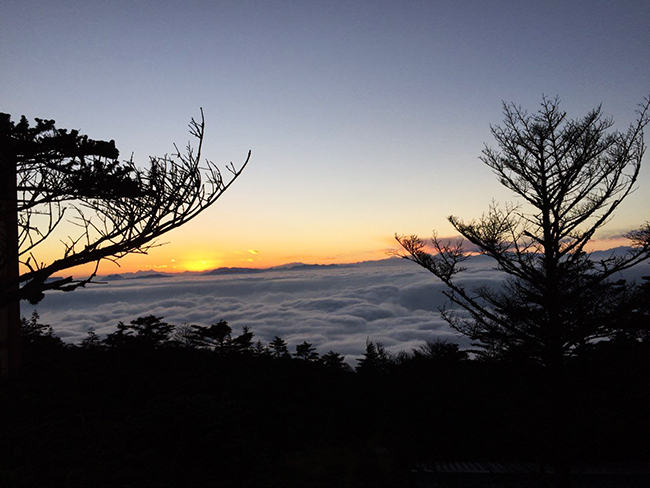 On arrival , you will appreciate the unbelievable scenery, sea of clouds, misty pine and sunset, looking at the snow mountain far way, it is really the Utopia and everything is behind. 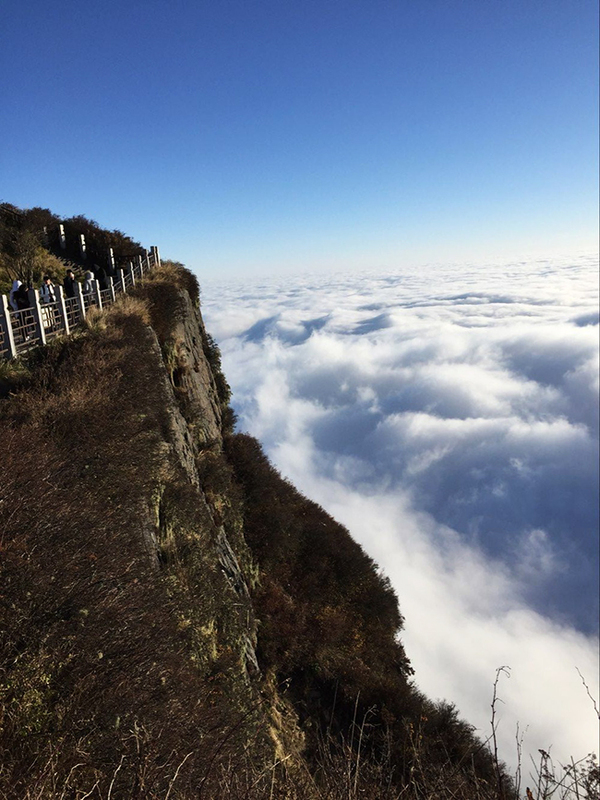 There is a restaurant where you can order Sichuan food and two 3 star hotels are Golden Summit Hotel and Emeishan Jinding Hotel but they are not cheap during the peak travel season, especially during holiday but the best thing is to see sunrise next morning. After the trip, come down to the Leidongpin with the same route and you can take sightseeing bus to Wuxiangang parking lot or only to Wunian temple and then hike to Qingyin Pavilion before arrive at Wuxiangang, finally go back to Chengdu for a good dinner after mountain tours. 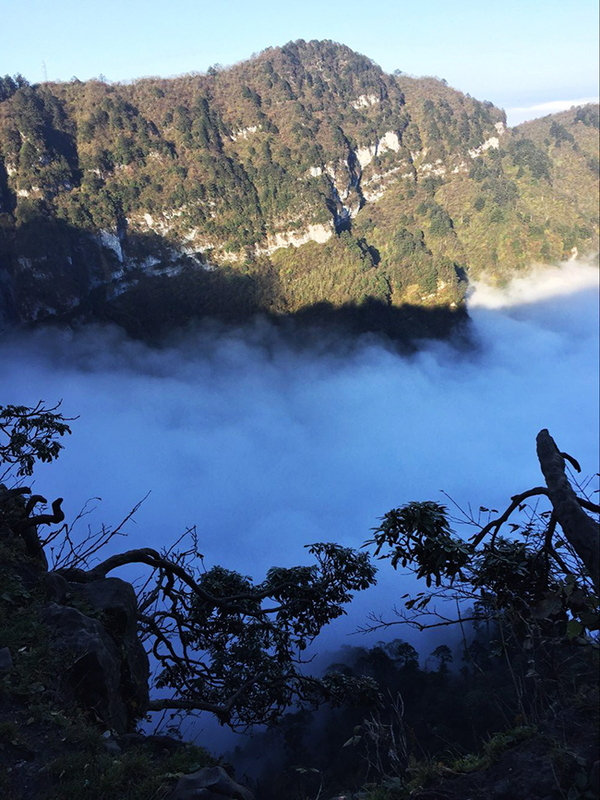 If you are interested in more Leshan and Mount Emei Tours, you can head to our Leshan Tours or Emeishan Tours with different experiences. Feel free to select yours to explore the beauty of UNESCO World Heritage Sites! Want to know more about the experienced travel expert Jack’s trip? You could just contact him directly or continue to read more about his travelogues. 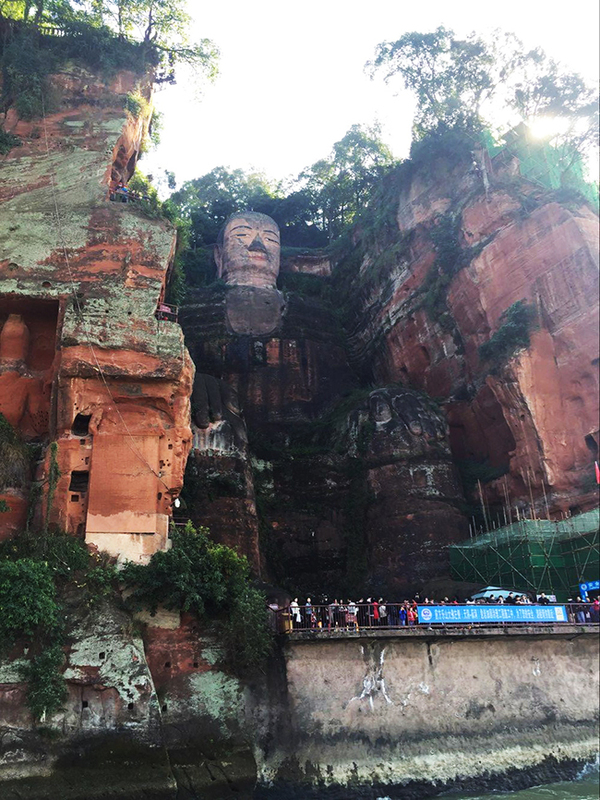 This entry was posted in China Attractions, sichuan tour, travel experience and tagged Leshan Giant Buddha, Mount Emei, Sichuan Hiking, Sichuan Tour by daisy. Bookmark the permalink. China Discovery offers Private, Customized and small group tour; all give you the chance to be really here at an affordable price. From the start of the planning till the end of our trip, China Discovery offered high level of service, understanding and helpful tips. TOur professional travel consultant helped us to organize the trip based on our wishes. They organized a great trip best suited for our time and interests. And the result was very good! The food tasted great! Their local guides were very helpful, flexible, hold high level of history knowledge, and their English was excellent. Copyright 2000-2014 China Discovery Tours, professional China travel agency and China tour operator. All rights treserved.